Look your best this season in the fun ML Monique Lhuillier™ Halter Neck Ruffle Tier Blouse. Triple tier design with floral print throughout. Double effect along the back. 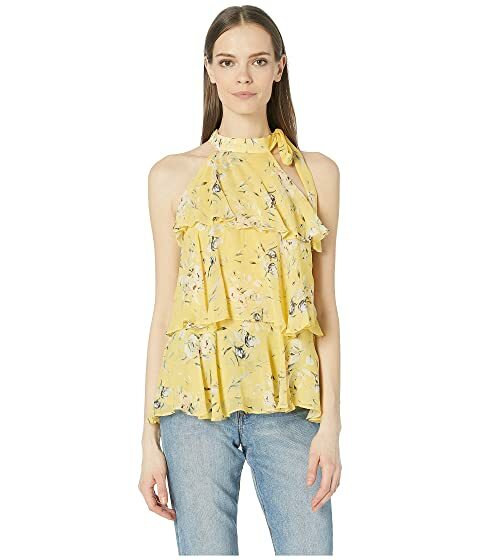 We can't currently find any similar items for the Halter Neck Ruffle Tier Blouse by ML Monique Lhuillier. Sorry!